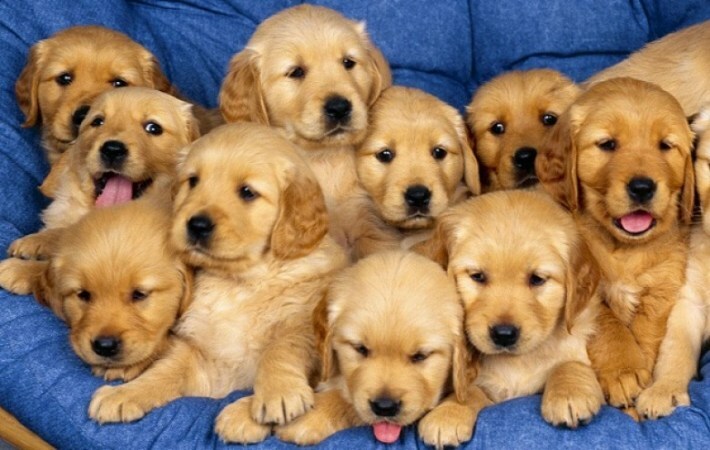 Stressed out students at Aberdeen University in Scotland are going to be given a special room on campus to calm down with puppies during the exam period. Aberdeen University’s Exam Welfare Initiative is teaming up with Guide Dogs For The Blind Association to offer the furry therapy after receiving positive feedback from students. They are setting up a rooms on campus between the 13th and 23rd May. The university is also offering smoothie and apple give aways to calm stressed out students as well as onsite-massage at the library, yoga taster sessions a health walk on the beach. Last October, researchers at Hiroshima University in Japan found that photos of kittens, puppies and the like don’t just make people feel better – they also help them to concentrate. Don’t know what it will do for NSS scores but wouldn’t be surprised if this turns out to be an entry in this year’s Times Higher Education awards. As finals week looms closer and the stress begins to pile, most college students see self-destructive habits rise considerably, in the form of eating worse, sleeping less, and more often than not, drinking too much. But one Canadian university has found a new, novel, and undoubtedly popular way to help combat stress in a safer, and altogether fuzzier way: a room full of puppies. Dalhousie University in Nova Scotia, Canada has made what could be the most popular addition to any university in history in the form of a room filled with puppies, solely to help students relax and drive away the finals week stress. 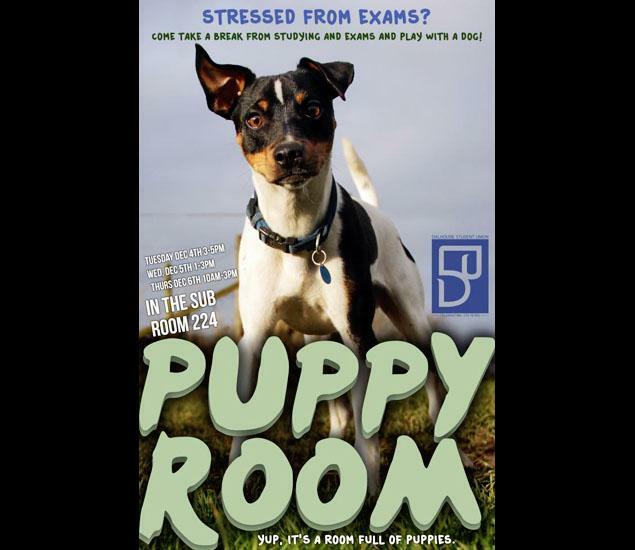 The Puppy Room will be open to students of Dalhousie University from December 4th – 6th thanks to Therapeutic Paws Of Canada, a non-profit organization that brings dogs and cats to schools, residences and hospitals in order to promote happiness and relaxation. Looking to the future, this idea could be expanded to cover a wider range of stressful activities for students and could include a variety of animals to ensure individual preferences are met. 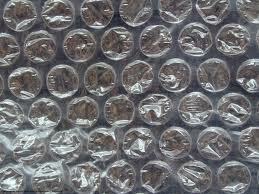 The first university to do this in the UK would be bound to win a THE award. Anyway, this is the last piece of nonsense here in 2012. There will be more in the new year. Have a relaxing break (with or without puppies).